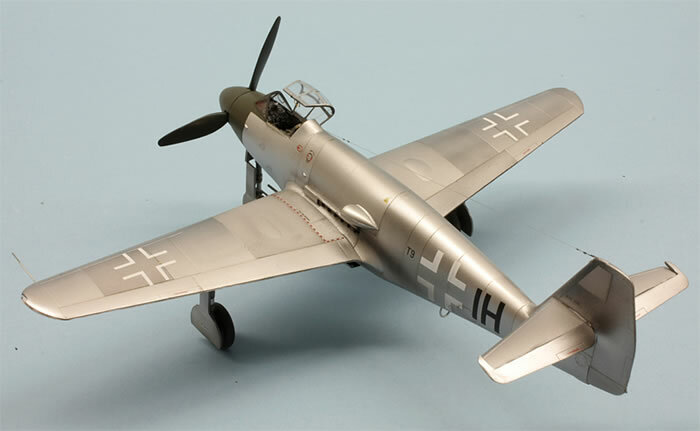 Here is my Trumpeter 1/48 scale Me-509 Vorserie. No sooner had the postman brought the two kits than they lay opened on my workbench. No kit ever got quicker in the “I want to start building- alley” than these. 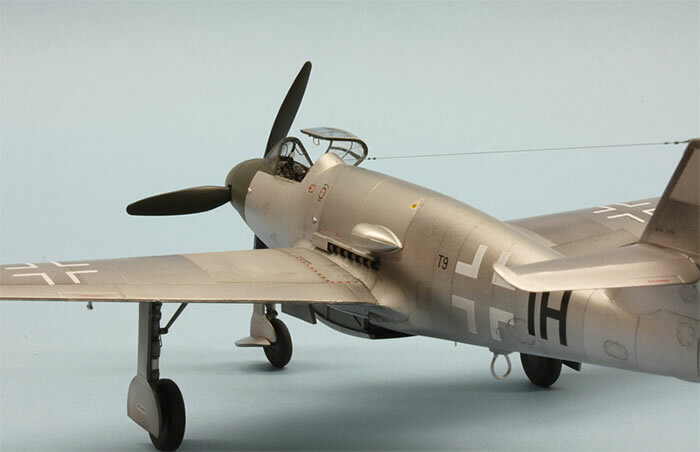 As this is a fictitious aircraft, a few words to the “Me-509”. 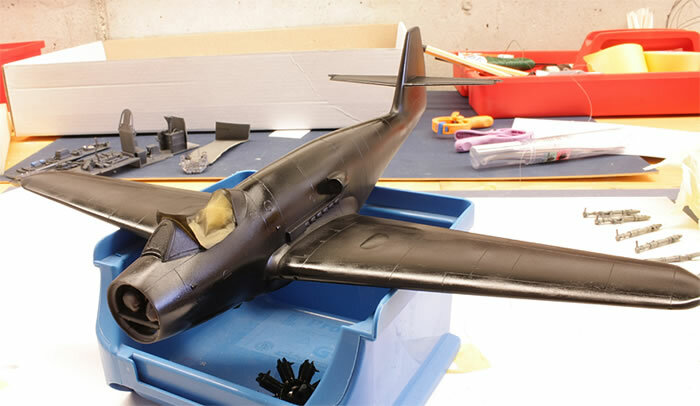 Trumpeter's new kit contains the forms of a never built, not to mention ever flown aircraft. 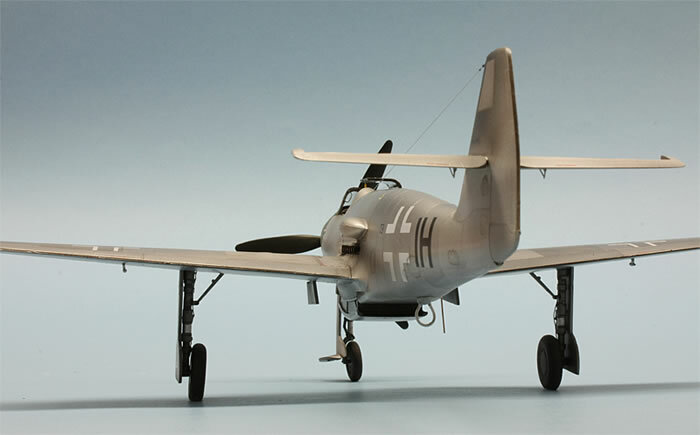 The “Me-509” was a paper project that should evolve the Bf-109 design to a P-39 style aircraft. 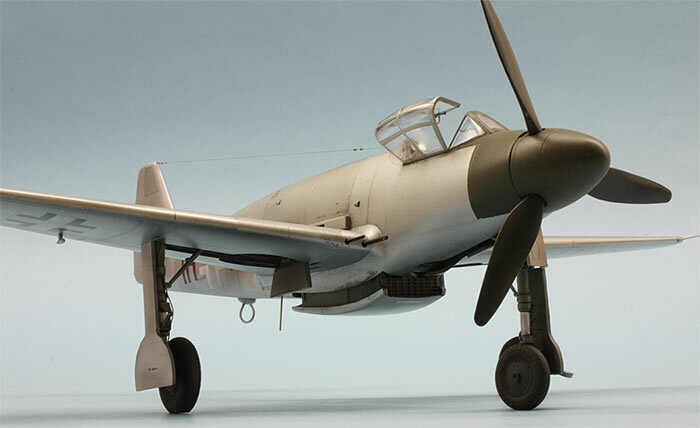 The DB 605B would be buried near the gravity center; it should drove the Me P 6 reversible-pitch propeller by an extension shaft which passed beneath the cockpit. 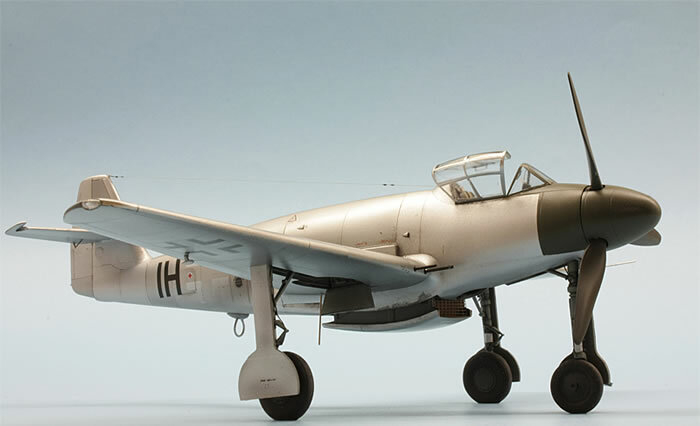 The Me-509 can trace its roots back to the Me-309. 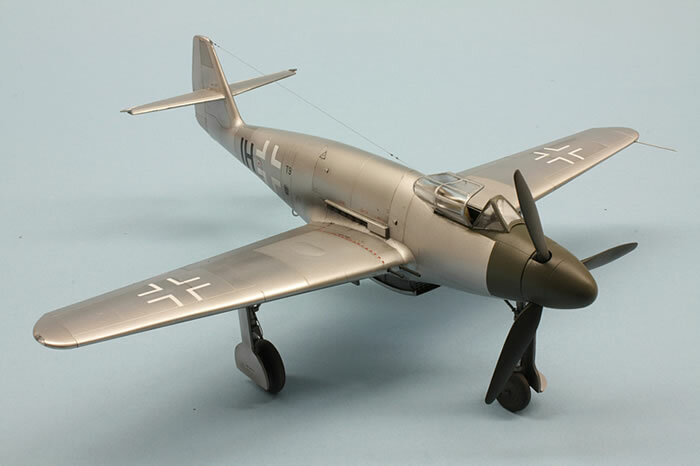 This was the first Bf 109-variant that displayed a tricycle undercarriage. 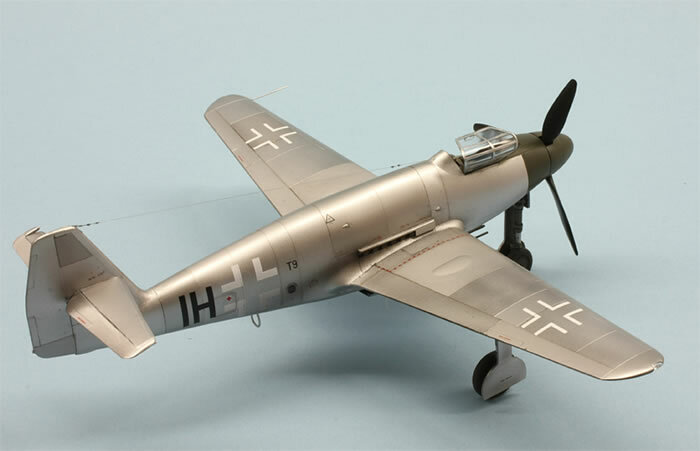 Besides the undercarriage the tail assembly was taken by this in reality built and flown ancestor. 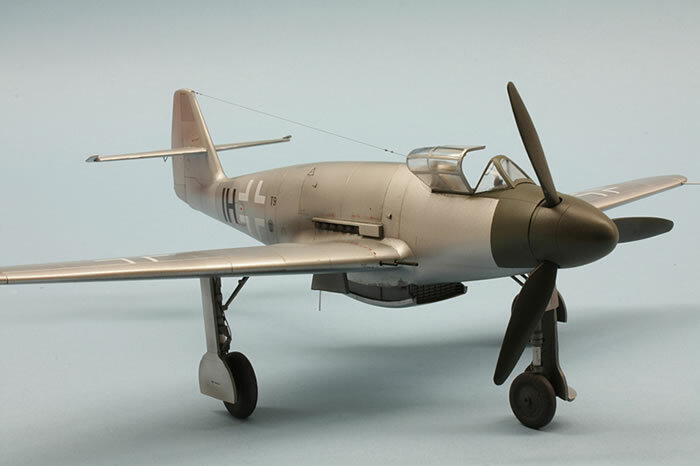 Would the Me-509 have been realized, two MG 131 13mm machine guns and two MG 151 20mm cannon should have been used. Collapse of the nose gear, would have been relocated. 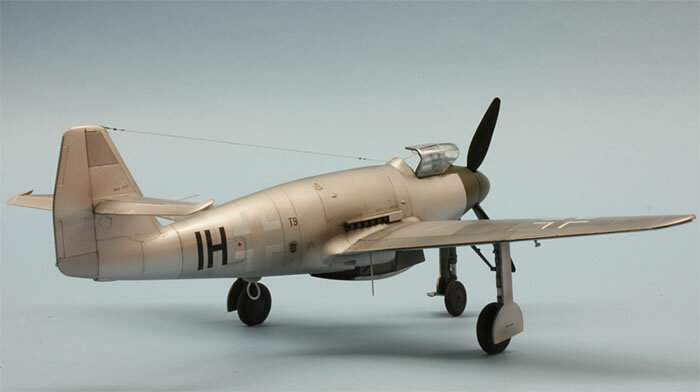 Even better, the forward location of the pressurized cockpit would have provided an excellent visibility. 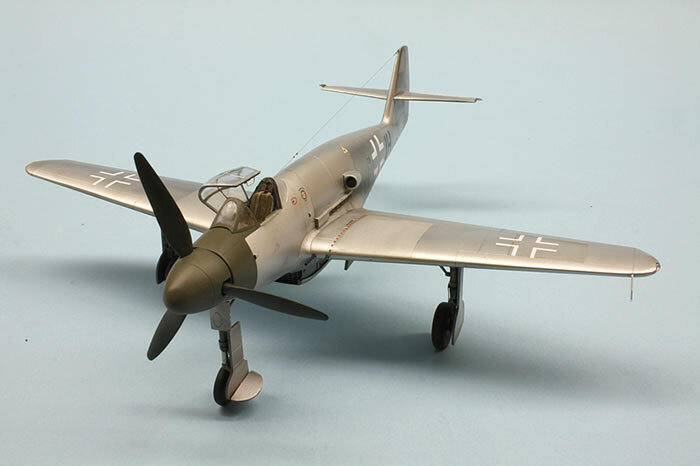 In spite of that, the Me-509 development was stopped when the 309 program was ended in mid-1943. 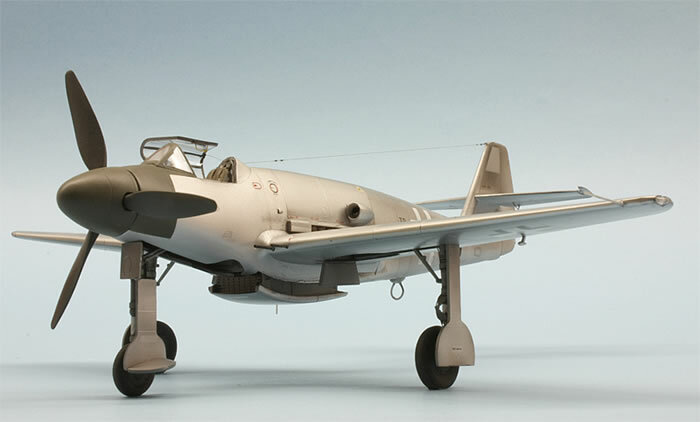 Looking at the Japanese Yokosuka R2Y Keiun it is obvious, that there must have been a successful exchange with the Japanese military, the designs and the overall appearances of these two aircrafts are too similar to be mere coincidence. 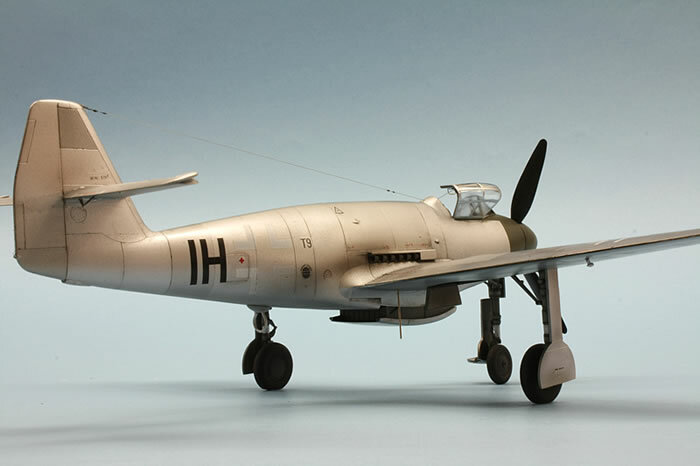 My model shows a hypothetic pre-production aircraft flown in a Erprobungskommando in 1943/44, the markings refer to a really built Do-335. The appearance is pure fiction but, as I hope, nothing impossible. The kits decals should not be used, as they are of very poor quality in every respect, so my decal spare box spent all the markings. 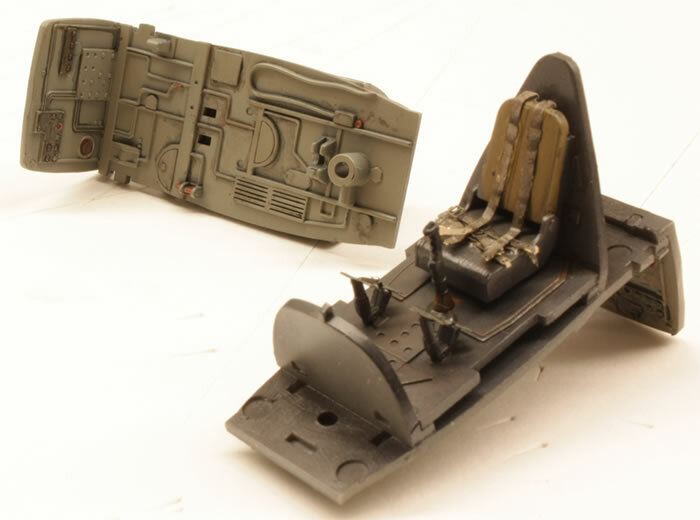 Gear wells and cockpit parts have an adequate amount of details; I enhanced that with hypothermic needles, copper wire and scratched parts for the pitot tube, brake lines and several minor parts like rudder horns, grab handles in the cockpit and so on.